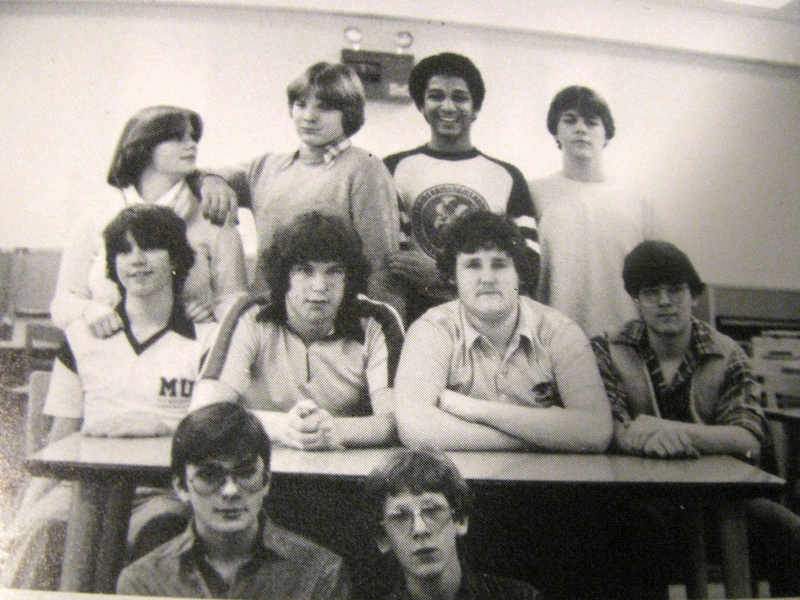 Wow, totally looks like the kids I hung out with that year, although I was only in 4th Grade. Dang! “..one game takes about half a day” …that means my buddies who played it at recess were just having like, tiny mini-adventures! I vividly remember my friends having their backpacks loaded with their D&D requisites…Fiend Folios, die, pencils, and a folder with their character(s) bio sheets/stats and tons of graph paper for mapping out new dungeons. You could run pieces of a campaign during recess, or you could just talk shop, roll a character, work out a dungeon sequence. A lot of kids liked the planning/rules aspect just as much or more than actually playing. I believe you are referring to yourself. I feel like there were a lot of dungeons created that had no plan of ever being played. 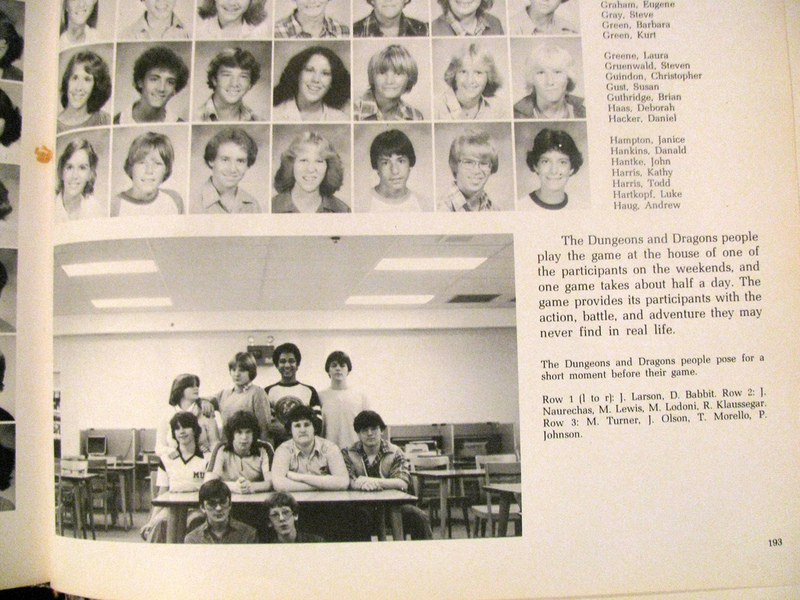 You’ve been uncovering a lot of D&D folk pics…wouldn’t it be awesome to find some old character sheets and grid-mapped dungeons from back in the day? Oh yeah, there were times where the kids were hard at work drawing their character(s). It was interesting to see the different renditions of elves, archers and paladins. Then there was also a go-to guy who knew how to draw really well (even if he wasn’t associated with the D&D crowd), he’d get a bunch of requests for character drawings. Oh, I’ve got some amazing handmade D&D modules coming soon… You will die. That’s Tom Morrello – guitarist of Rage Against the Machine, Audioslave, Nightwatchman and the E Street Band on tour – in the top row. 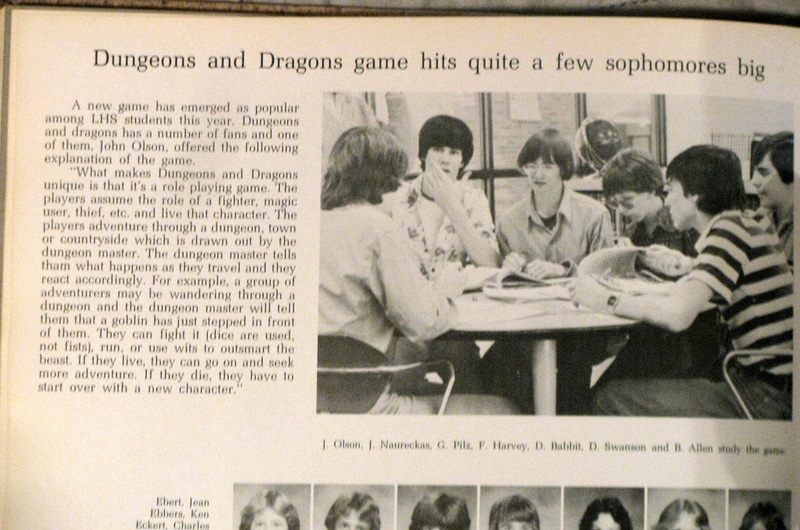 Look at all those poor saps in the pictures above them that didn’t play D&D. Sad, really, that they missed out.